Remove the timing belt. Refer to Timing Belt Replacement. 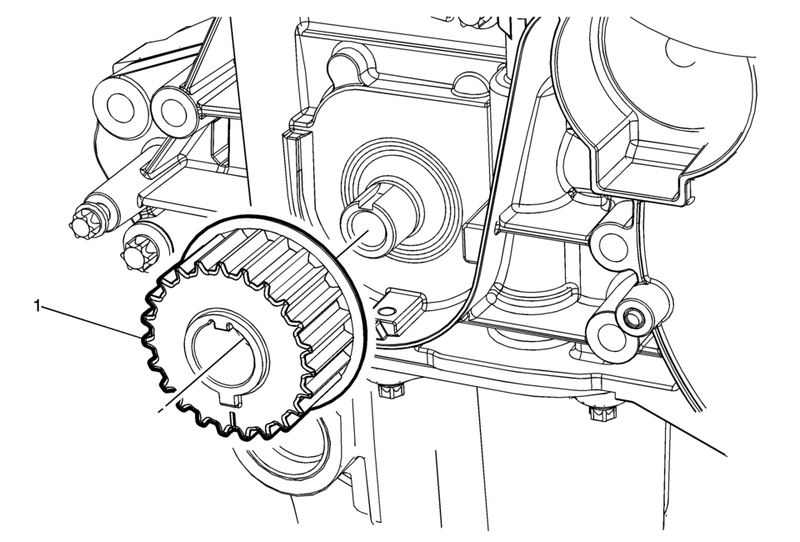 When installing the crankshaft sprocket, the sprocket and the groove must align.